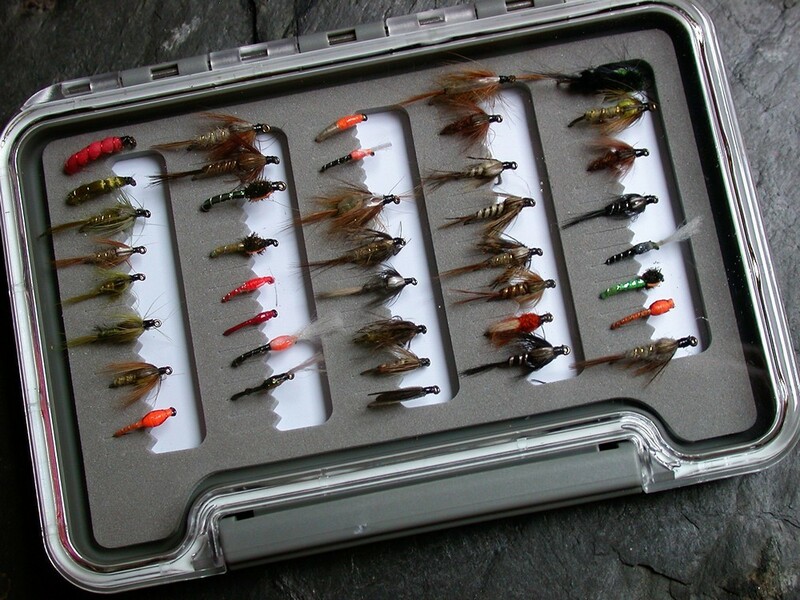 Each selection of trout nymphs is presented in a superb waterproof fly box. 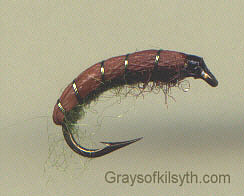 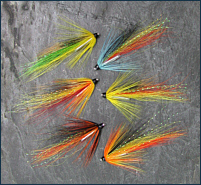 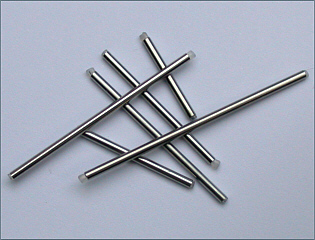 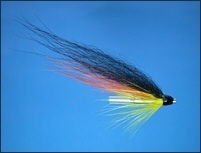 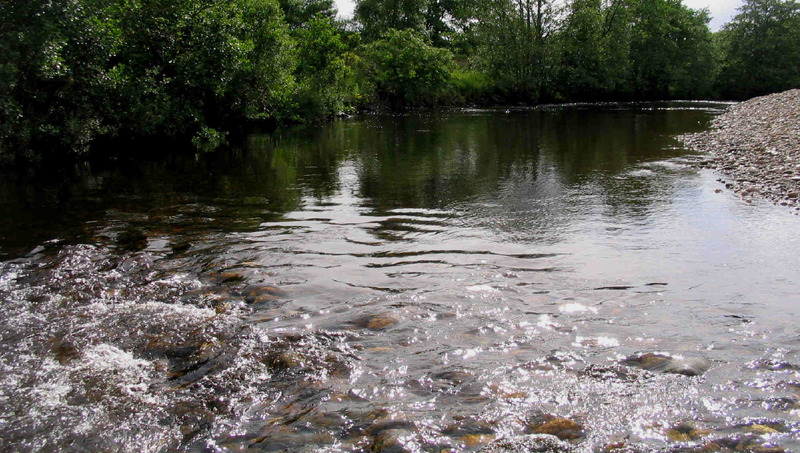 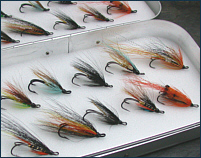 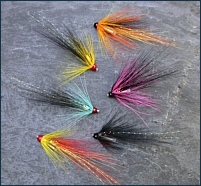 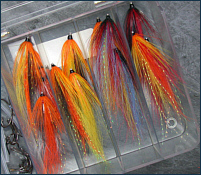 Each boxed set of forty trout nymphs, in the most useful sizes of 14, 12 and 10, has been selected from the following list of renowned patterns, both traditional and modern, to provide practical variety throughout the UK fishing season, to enable the trout angler, on river or stillwater, to present an appropriate sub surface imitation. 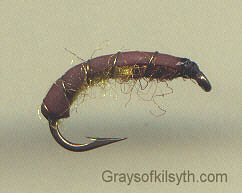 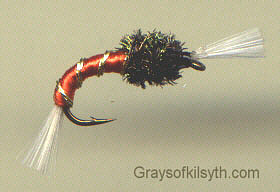 No matter what the trout are feeding on beneath the surface of loch or stream, a suitable imitation should be found in this selection, from the stonefly nymphs (Plecoptera) of the river to the midges or buzzers (Chronomids) of the lake in their various incarnations of bloodworm or midge larva, free swimming midge pupa or hatching midge; from the Sedge or Caddis fly (Trichoptera), first as cased caddis (sedge larva) and later as the more mobile plump pupa, taken eagerly by the trout as it emerges as an adult sedge, to the nymphs of the upwinged flies (Ephemeroptera), the olives and mayflies of river and lake; from the Corixa in the stillwater shallows to the larger nymph of the Damsel fly (Agrion virgo) or the tasty freshwater shrimp. 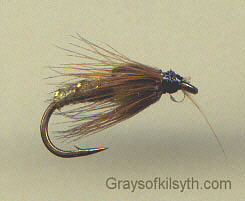 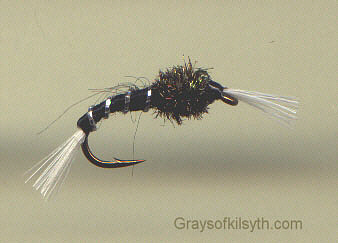 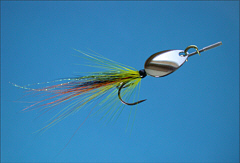 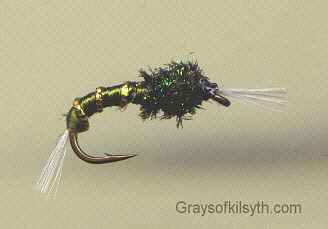 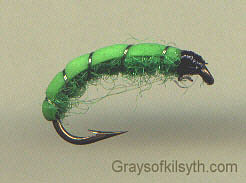 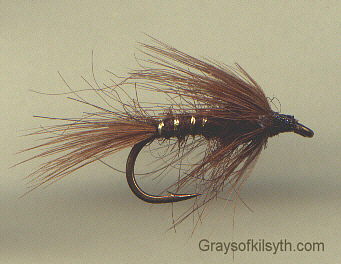 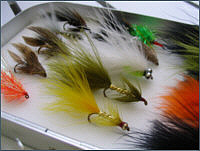 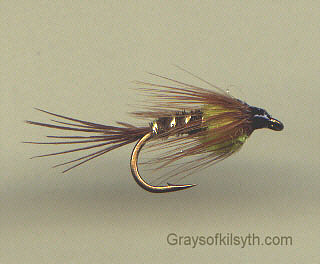 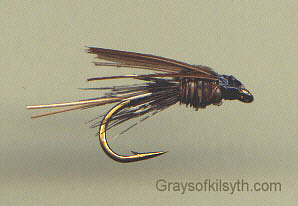 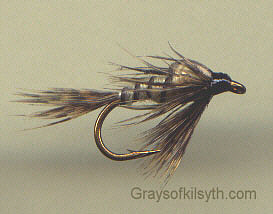 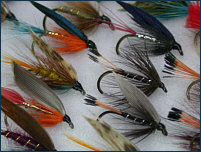 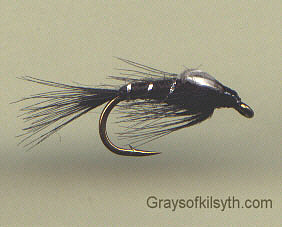 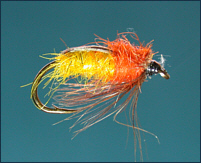 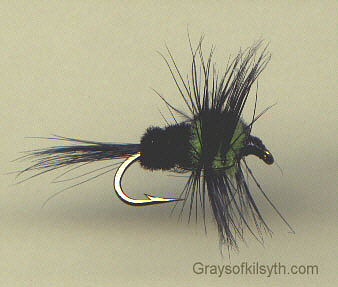 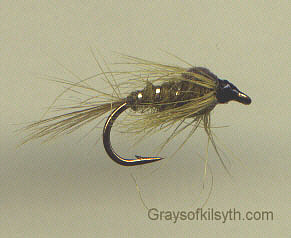 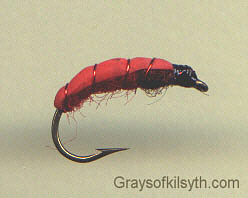 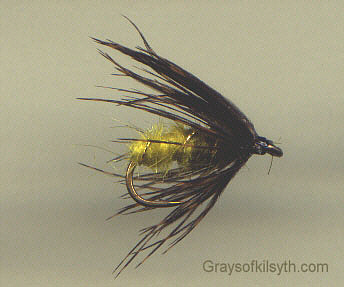 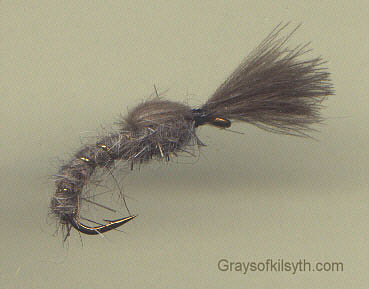 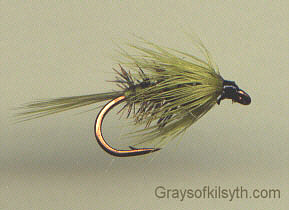 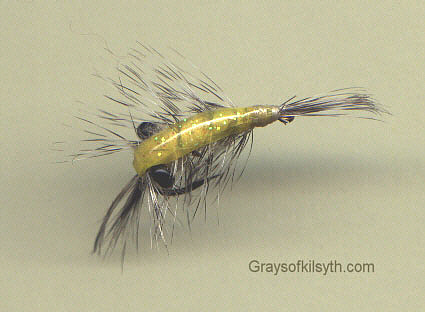 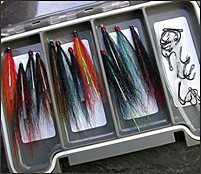 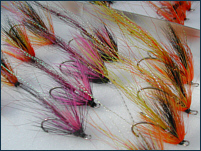 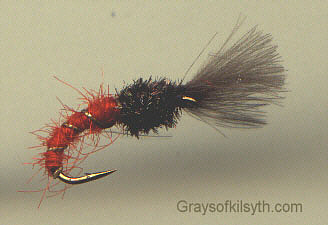 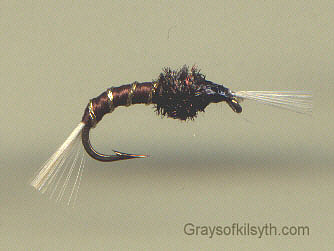 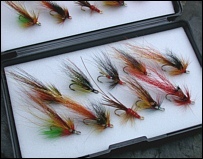 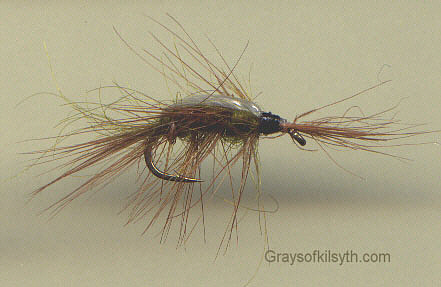 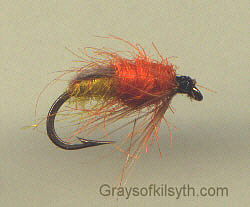 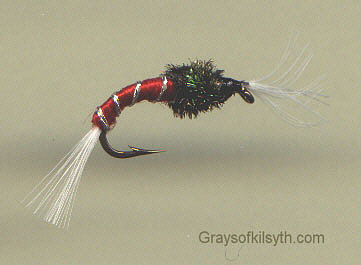 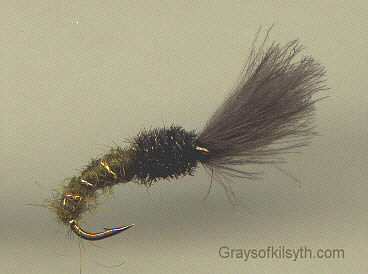 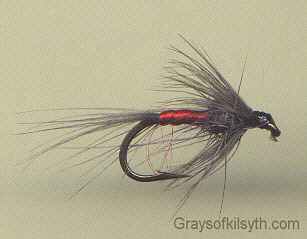 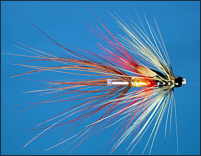 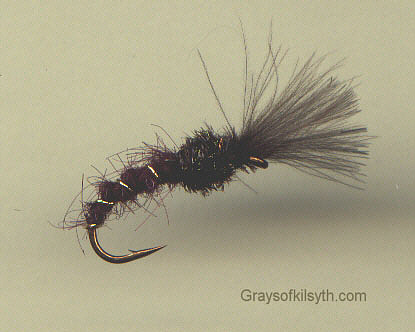 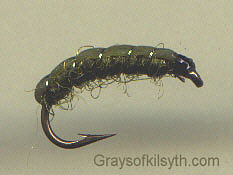 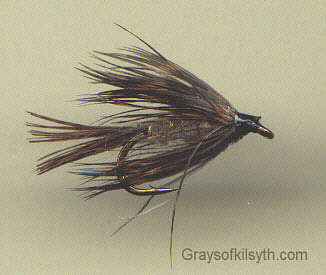 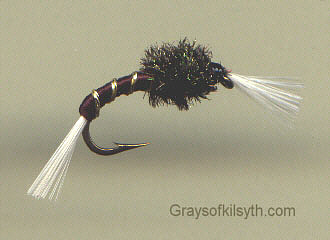 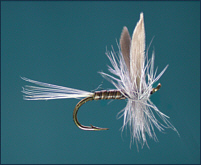 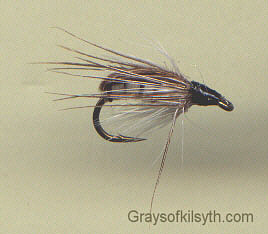 All trout nymphs in this selection are supplied by an old and well established Scottish firm, suppliers of quality trout and salmon flies to the Scottish tackle trade since 1880. 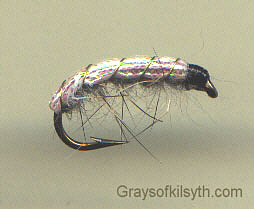 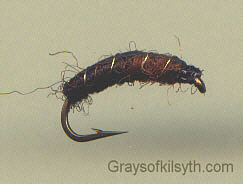 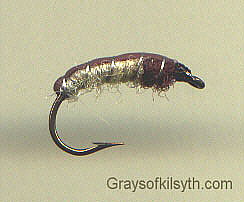 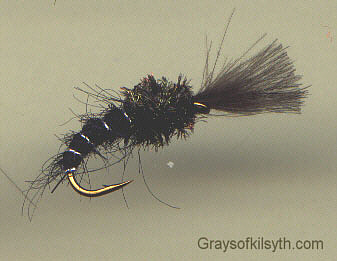 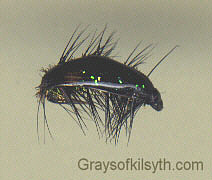 Click on the trout nymphs below to see an enlargement.